Sharpening steels, or honing steels, are probably the most widely seen tool for maintaining kitchen knives, especially in domestic kitchens. This is due to their small footprint, they fit into a drawer easily and they are quick and simple to use. 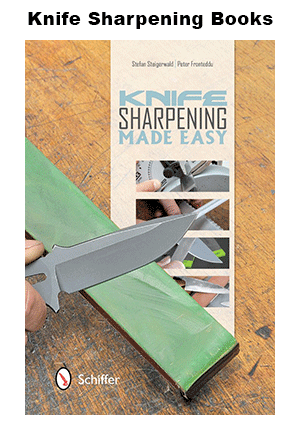 For regular honing of your knives then a sharpening / honing steel will serve you very well. Depending on the usage of your knives you could be using a steel like this several times every day. This 12″ / 32cm steel from Wusthof is a HONING steel only and it is pure quality. I know we talk a lot about the look of Wusthof products, but look at it. They have managed to make a metal rod look stylish. When you hang it up in your kitchen with the attached hanging loop you know it’s going to look great! That’s all well and good but how does it perform? Made of very strong high carbon steel the rod on the 12" Wusthof sharpening steel is magnetic so it will grip any loose metal shavings as you hone your knife. The handle is a comfortable 5" in length to allow you to grip it safely and securely. Your hand won't slip on this handle. Wipe the steel with a damp cloth after each use to remove any metal filings. Do not submerge the sharpening steel in water. We are an independent review site and are not in any way affiliated with Wüsthof.